Official US Navy Photo taken during the 1965-66 Westpac deployment. Contributed by Larry Kinyon. 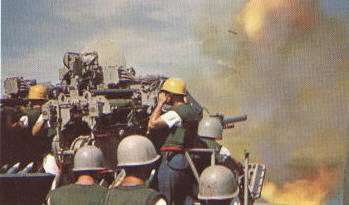 3"/50 mount during a gunfire support mission off the coast of Vietnam. Contributed by Jim Byrd. 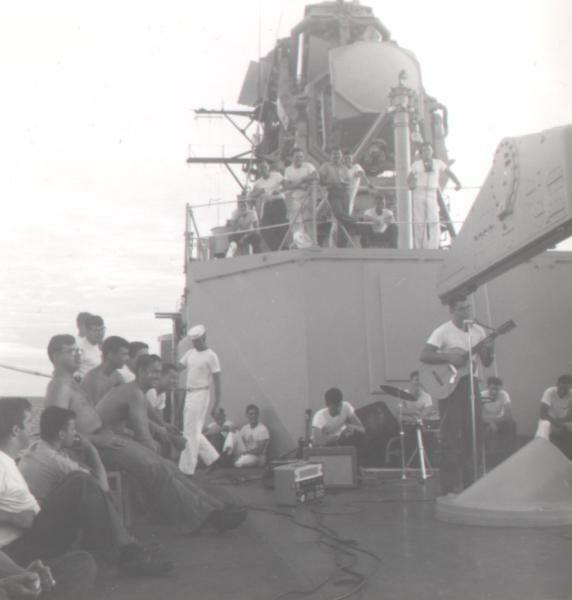 A barbecue on the fantail while in the Tonkin Gulf. Contributed by Ron Korber. 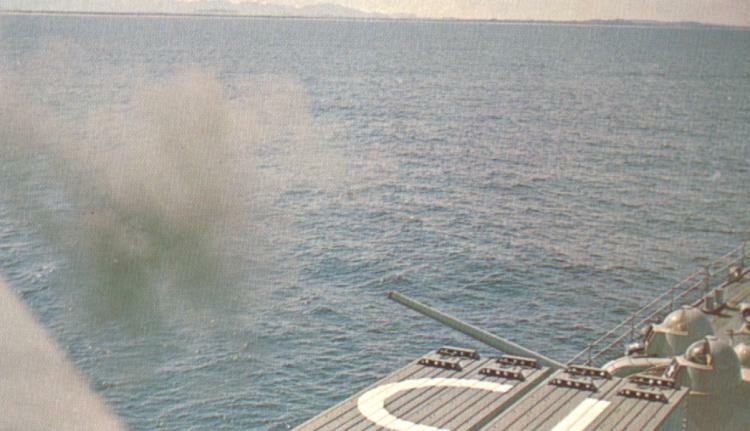 The first time a Missile equipped warship fired a weapon in combat. This happened to be a Naval Gunfire Support mission in support of the Vietnamese Second Army Division against the Viet Cong at targets located approximately 80 miles southeast of DaNang. Contributed by Sam Burns.